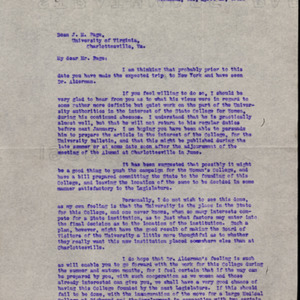 University of Virginia Library Online Exhibits | Typed carbon copy letter, signed. 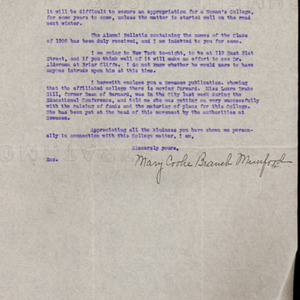 Mary Cooke Branch Munford to Dean of the College James M. Page. 1913 April 25. Typed carbon copy letter, signed. Mary Cooke Branch Munford to Dean of the College James M. Page. 1913 April 25. “Typed carbon copy letter, signed. Mary Cooke Branch Munford to Dean of the College James M. Page. 1913 April 25. ,” University of Virginia Library Online Exhibits, accessed April 25, 2019, https://explore.lib.virginia.edu/items/show/2215.